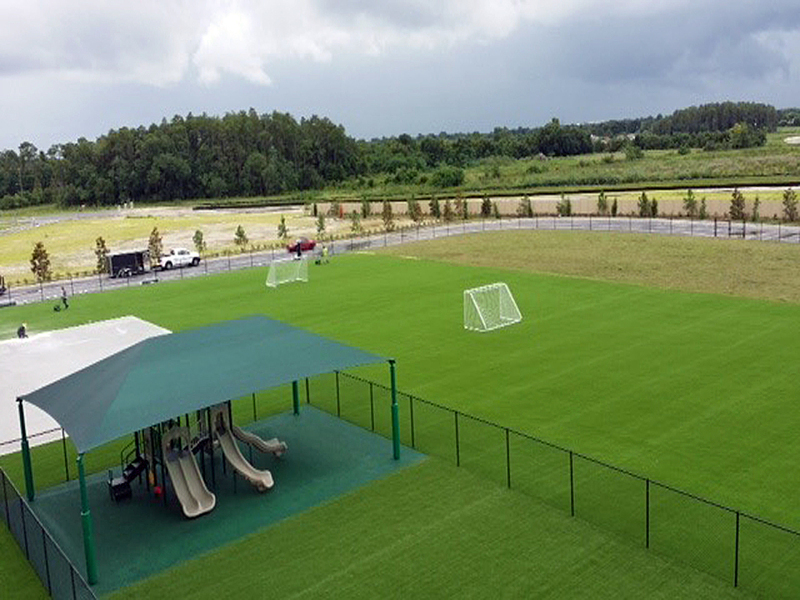 Global Syn-Turf's artificial grass for sports fields is the easy and long-lasting synthetic turf, brought to you by the largest manufacturer of synthetic grass in the United States. Proven with safety our Sports synthetic turf is, and has always been safe. It is safe for children and pets, and environmentally-friendly. Global Syn-Turf of Claremont, California uses organic infill materials in the installation - from residential and commercial landscape to putting greens and sports fields. With the growing popularity of youth sports in Los Angeles County and the requirement for building more athletic fields, most schools and communities are considering creating artificial grass athletic fields. Synthetic surface is today's every coach's desire, and not just in Claremont, California. Yesterday's artificial grass is much different than today's synthetic systems in that the new technology create a field that looks and feels much more like the natural grass. Playing on the best surface makes all the difference when it comes to performing at the sport. No matter which sport you engage, Global Syn-Turf gives you the edge you'll need to perform. Plus with our best installers in the area, you get all you'll need, prior, during and when the installation's completed, to keep playing year after year. Global Syn-Turf synthetic turf products for sports fields in Claremont, California can be used for multi-purpose artificial turf sports fields and school football fields, soccer, baseball, softball, or rugby fields. Global Syn-Turf produces only the best artificial grass products in the United States. These days, athletes need more from the surface to play on. It goes beyond maintenance benefits and all-weather playability. Sports field must be year-round 4-seasons playable, has to have shock absorbency, safety features, stable footing speed, low abrasion, and traction. Today's athletes need athletic fields to deliver outstanding performance. The artificial grass products for sports fields need to be safe and conform to athletes' needs, and from the administrative perspective, it also must stay within financial guidelines. It also must be tested and designed for performance under the extreme conditions while maintaining quality and long-term durability.